GDPR seems to be forcing enterprise cloud adoption in a completely different direction. 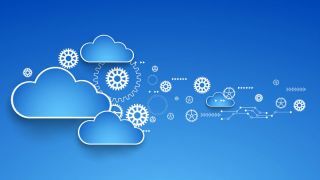 A new report by Forrester says that private cloud adoption among EU enterprises is “growing by every possible metric”. The general perception is that enterprises looked to migrate to public clouds. Besides GDPR, other factors pushing organisations towards private clouds include the emphasis on change tolerance and exploration of common API solutions. Forrester also throws tighter budgets, avoidance of complexity and heightened developer productivity into the mix, as well. According to the report, almost two thirds (60 per cent) of respondents either implemented, or are looking into private cloud. Budgets for the solutions are also growing. More than two thirds (68 per cent) of EU-based enterprise private cloud adopters enabled self-service provisioning, as well. Finally, industry leaders want to make sure clouds, and cloud management, stays invisible to end users. Roughly half (54 and 52 per cent, respectively) of cloud adopters surveyed track their cloud usage and spending. GDPR, or General Data Protection Regulation, is a new EU legislative, expected to come into force on May 25, 2018. It aims to regulate how businesses collect, store, use and share data of its EU-based users. Companies that fail to comply with the regulation risk draconic fines, which can go up to €20 million, or four per cent of their annual global turnaround, whichever figure is bigger.